With so many web analytic tools available, it can be difficult to determine exactly which one will work best for your company. Among those tools is heat mapping, which tracks the actual time people spend looking at, clicking on and scrolling through various areas on your site. This highly visual method of analyzing your website will help you get a clearer look at all of your customer traffic. What Is Heat Map Analysis? What's Been Learned Through Heat Mapping? There are several general analyses that have already been made thanks to heat mapping of various websites. First, it's clear that users are most likely to view the portion of the page that is above the "fold"—the part they can view without needing to scroll, basically the modern version of "above the fold" or the top part of a newspaper. Next, users are attracted to images. They prefer to click on, look at and interact with them over other types of content. 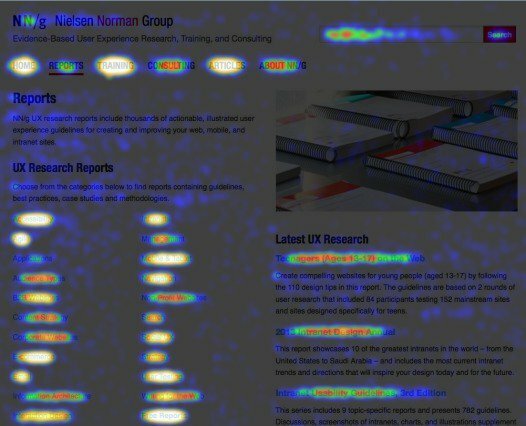 Heat mapping has also unearthed the fact that people are more likely to scan over available content than to read it in detail. From the general analysis, you can infer several things about the design of your website. Lists are easy to scan and preferable to most readers. Copy that is broken up with bold text and clear headers makes your website more attractive to most viewers. Well-placed images help encourage customer interaction and engagement and move visitors down the page. Key information should be positioned above the "fold" of your website. By integrating this key information into your website design, you can make it easier for all of your customers to find the information they're looking for, encourage greater interaction with your site and ensure that your customers are satisfied with their website experience. 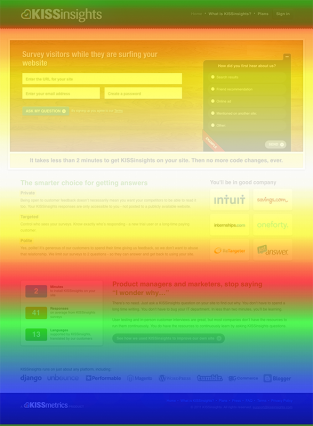 Since heat mapping has already been done on a general level, why do you need to analyze your personal website? Can it really tell you anything? 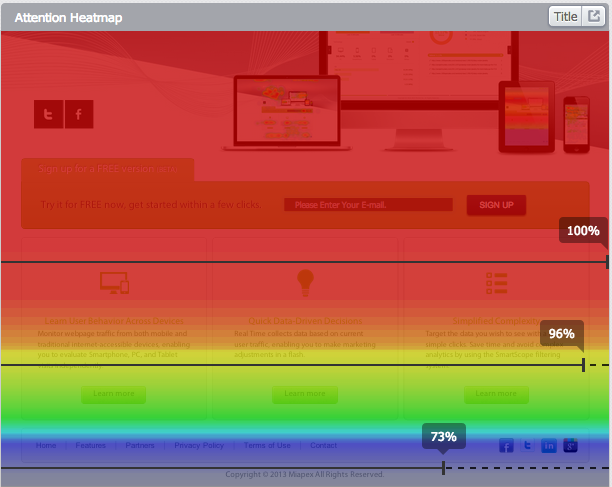 There are several benefits to using heat maps for better developing your personal website and working on converting visitors into customers. Real-time data that changes constantly will give you an immediate look at how changes impact visitors to your website. Knowing where people are likely to click will help you tweak the design of your website—areas that receive clicks, but where there are no links, should be replaced with links. Important calls-to-action that aren't getting the conversions you want should be highlighted in a different way or converted to image based buttons. Observe what content is interesting or compelling enough to keep website visitors scrolling past the fold. Focus on key data that's easy to understand, without the need to hire an analyst to interpret "big data" for you. Your heat map can help determine the direction your website needs to go, how people view your site and what changes are necessary in order to make the most of every customer's experience and help them along their buyer's journey. It's highly visual nature makes it easy to interpret, with no need to consult an analyst to understand what a series of numbers mean for your business. The most important part of heat mapping is doing something with the data to make your website even better for your visitors so that you reach your conversion goals.